You might have used to stuffing your sports gear, shaving kit, towels and many others in the backpack, but rarely you come across the ones, which offer you space for putting your pens. 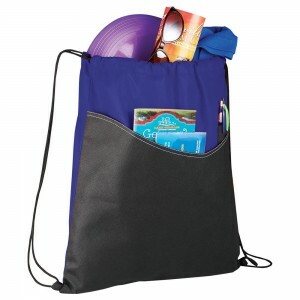 This custom rivers pocket polypropylene drawstring backpack is one such choice, which offers you space for managing your pens. 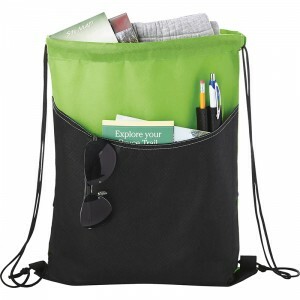 This backpack looks great from over the shoulder and works perfect for people of all ages. 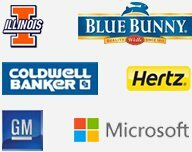 It makes a great giveaway during sports events, school events and many more. 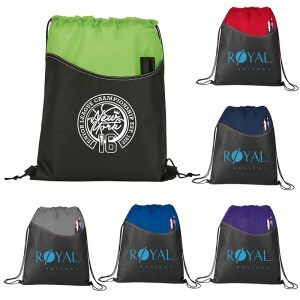 Request a quote to know price benefits that we may offer you on bulk ordering these customized rivers pocket polypropylene drawstring backpack. 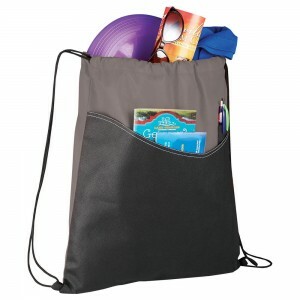 Features- Open main compartment with drawstring rope closure. Pens not included. Open front pocket with double pen sleeves. 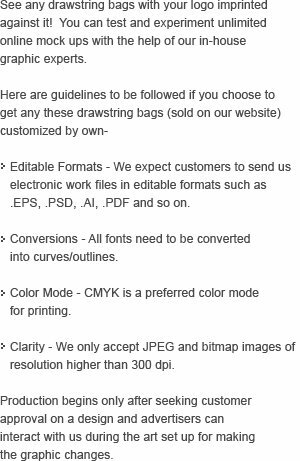 Item Size - 17" H x 13.75" W x 0" L.